Beautifully framed and composed.. The moon is always a challenge to photograph. Nice composition. 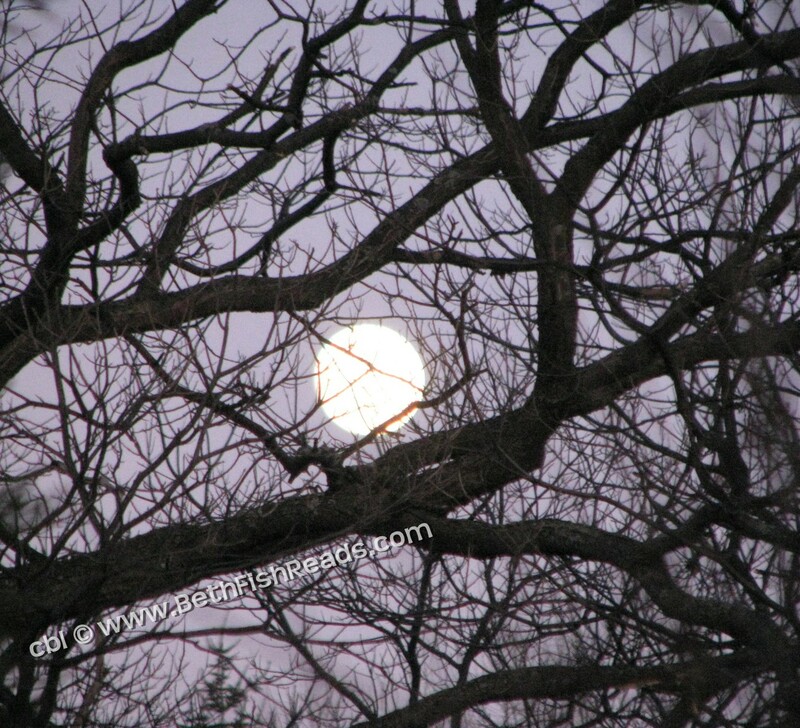 The moon looks so serene framed by the bare trees. I can almost feel the wind through those trees. The branches kind of enhance the beauty. That is a great shot between the trees. I love the composition of this shot. Personally, I would have under-exposed it a bit, to try and bring out a bit of detail in the moon - but it is really nice! This looks like a book cover! Yep ... it's a 5-wow photo. Gorgeous composition! So much mood here. Gorgeous. I love moon shots. I've been watching the moon a lot since I'm out in the backyard in the dark so much with the dog. I've really learned its phases. That photo looks it could be a really great cover for a novel about werewolves! Too cool! Very pretty. I love how the tree frames the moon. Oh! 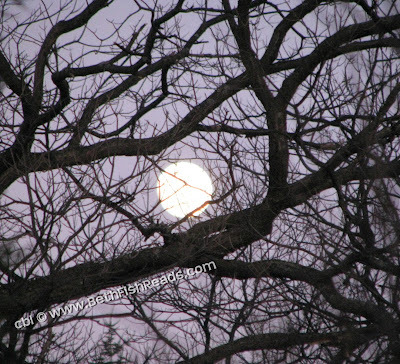 It makes me think of Sylvia Plath's "The Moon and the Yew Tree." beautiful shot. Perfectly captured between the branches.